This week in fashion Choupette launches her own line, Gucci announces its new scholarship program and Instagram is updating their shopping experience. Find these stories and more as we reveal the top fashion news stories of the week. The Council of Fashion Designers of America (CFDA) have named the nominees for the CFDA Awards. Often referred to as the “Oscars of Fashion”, the awards celebrate the best in fashion, accessories and emerging talent. Some of the nominees include Marc Jacobs, Rodarte, Brandon Maxwell and many more. Virgil Abloh, the founder of Off-White, has received two nominations for Menswear and Accessory Designer of the Year. The awards will take place on June 3rd. Italian label Gucci is launching a scholarship program, “Gucci Changemakers”. The scholarship aims to inspire and help African-American communities in North America, by funding $1.5 million to the project. Gucci’s initiative also aims to prompt change and diversity within the fashion industry. Marco Bizzarri, Gucci’s president and CEO said they are “[investing] important resources to unify and strengthen our communities across North America, with a focus on programs that will impact youth and the African-American community.” in a statement. Social media platform Instagram is rolling out a new in-app shopping feature. This new addition “Checkout” allows users to tap on a checkout button and purchase items of their choice, using a saved card option without leaving the app. Currently, still in beta testing, 23 labels are available for purchase in the US, including Burberry, Adidas and NARS. Paul Surridge is said to be leaving his role as creative director for Roberto Cavalli. The English designer joined the label in July 2017, replacing Peter Dundas. Surridge has previously worked for Calvin Klein, Acne Studios and Burberry. Reports say Surridge is facing issues with the brand, conflicting with the marketing, design and communication teams. Although the rumours are still under speculation, it’s also said that German designer, Philipp Pleine, is keen to absorb the Italian label. 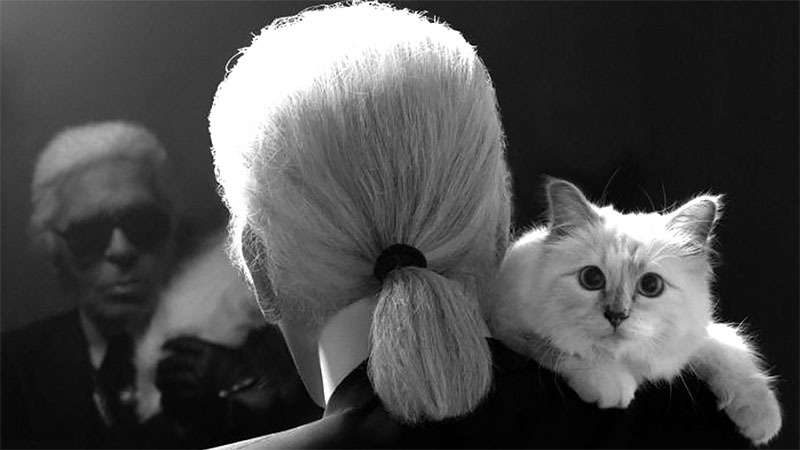 Choupette, Karl Lagerfeld’s Birm cat, is launching a line of clothes as a dedication to the late designer. The collection, “RIP Daddy”, features a sketch of the kitty wearing a mourning veil, designed by Monica Smiley. A “select portion” of proceeds of this collection will go to the Helen Woodward Animal Center, a pet adoption organisation. Choupette’s collection includes apparel, mugs, iPhone cases and diaries with illustrations of the famous feline.